Desexing or neutering your pet is a surgical procedure that prevents them from being able to reproduce. In male pets it is commonly referred to as “castration”, and in female pets as “speying”.This is one of the most frequent surgery performed by vets, and generally your pet is home by the evening of surgery. The most common age to desex your pet is between 4 and 6 months, however they are never too old to be desexed. Your pet will retain their pre-operation personality, possibly with the added bonus of being calmer and less aggressive. No – it is actually better for her not to have any litters before being spayed.Her risk of developing breast cancer increases if she is allowed to go through her first heat. Your pet’s metabolism may be slowed due to hormonal changes after desexing,however this is easily managed with adjusting feeding and ensuring adequate exercise. 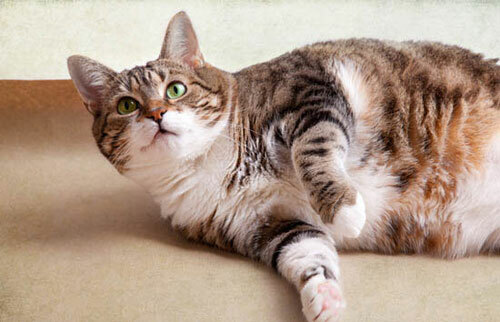 There is no reason a desexed pet cannot be maintained at a normal weight. As with all surgery, there is some tenderness immediately after the procedure, but most pets will recover very quickly. We administer pain relief prior to surgery and after surgery too.Your pet will be discharged with a short course of pain relief medication to take at home for the first few days after the surgery. In many cases, your pet will likely need some encouragement to take it easy! No, your dog will be just as protective of their territory as before the surgery. Make a booking for your pets operation. If your pet is a dog, wash them the day before surgery as they are unable to be washed after until the stitches are removed. Do not give your pet food after 10pm the night before the operation and do not give them any water after 8am on the day of surgery. A blood test may be performed prior to surgery to check vital organ function. The vet will perform a thorough physical examination before administering an anaesthetic. Some pets will require intravenous fluid support during surgery. This will be discussed with you prior to the procedure. To ensure your pet is as comfortable as possible, all pets receive pain relief prior to desexing and to take home for a few days after the procedure. Keep your pet restrained and quiet as the effects of anaesthetic can take some time to wear off completely. Keeping them quiet is also essential to allow the wound to heal. Food and water should be limited to small portions only on the night after surgery. Follow any dietary instructions that the vet has provided. Ensure all post-surgical medications (if any) are administered as per the label instructions. Ensure your pet’s rest area is clean to avoid infection. Check the incision at least twice daily for any signs of infection or disruption (eg. bleeding, swelling, redness or discharge). Contact the vet immediately if these symptoms appear. Do not wait to see if they will spontaneously resolve. Prevent your pet from licking or chewing the wound. Special cone-shaped collars assist with this problem. A single chew can remove the careful stitching with disastrous effects. Ensure you return to us on time for routine post-operative check-ups and removal of stitches. If you have any concerns before or after your pet has been desexed, please call us immediately to discuss.